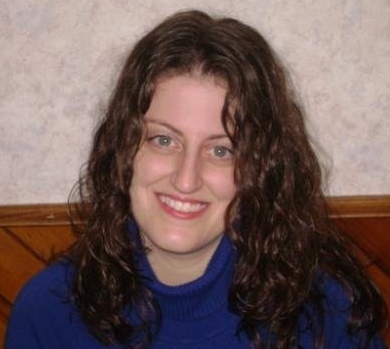 Alanna Klapp is a freelance writer, editor and writing teacher. Her work is published in print and online in Affect Magazine, Moxie Lady, Profiles in Diversity Journal, Strategy Magazine, She Just Writes, Lingk2us Magazine, The Suburbanite, Hope for Women Magazine and the Cuyahoga Falls Patch. She blogs at FE Media‘s collection of parenting blogs at The FTM Chronicles and contributes to the Cleveland Browns blog Bitter Orange & Brown. She’s a Publishing Contractor for the educational website Study.com. She’s written marketing case studies for James Publishing, a legal book and website publisher with 33,000 customers. She’s also worked for Mischa Communications, Inc. as a copywriter, where she’s ghostwritten book chapters and blog, newsletter and magazine articles for small business clients. She served as an online radio guest host for The Writing Show, a podcast with information and inspiration for writers. Alanna enjoys reading, hiking and cooking. She’s a bit of a sports fanatic and along with the NFL follows MLB, the NBA and NCAA football and basketball. Contact her via email at alannaklapp@gmail.com.